The I Series gas inserts aredesigned by Montigo in Canada for spaces that are traditional or contemporary or somewhere in between. 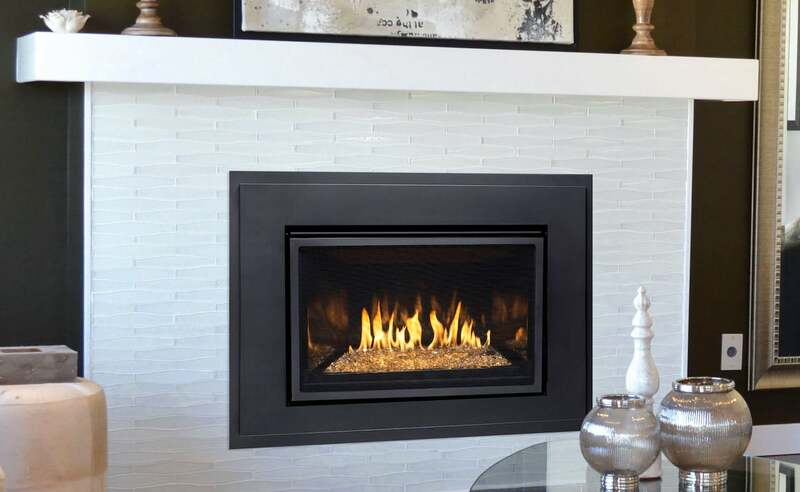 They are highly efficient with an AFUE (Annual Fuel Usage Efficiency) of 72% and the CSA P.4 Annual Fireplace Efficiency of 78%. It’s the ideal choice where high heat output is desired. The I-Series come in two sizes: the 30FID and the larger 34FID, and two styles: the linear model and the traditional. For the traditional model, there is a choice of glossy porcelain panels or brick lining available in brown or red. The log set is high definition cast fiber and the burner is ceramic in order to produce a realistic fire bed with glowing embers. Also with accent lighting, it enhances the experience even when not burning. 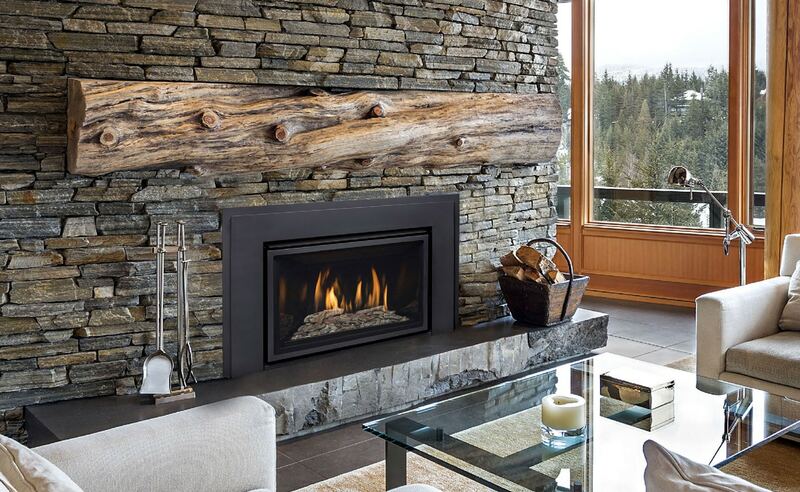 For linear models, there is a concealed ribbon burner, porcelain panels, andmedia tray with a variety of interchangeable media options including fireglass, firestones, speckled stones, and/or a driftwood log set. There is also in-burner accent lighting, which produces quite a dramatic effect with any media while burning or even when not in use. Other features include a satin black surround, co-linear direct venting, hidden pilot design, and tool free access to the control system. All models also include an integrated barrier safety screen, dual high output variable fans, and remote control operation. The remote control is included. The I-Series Gas Inserts offer a versatile tailor-made solution for any home.